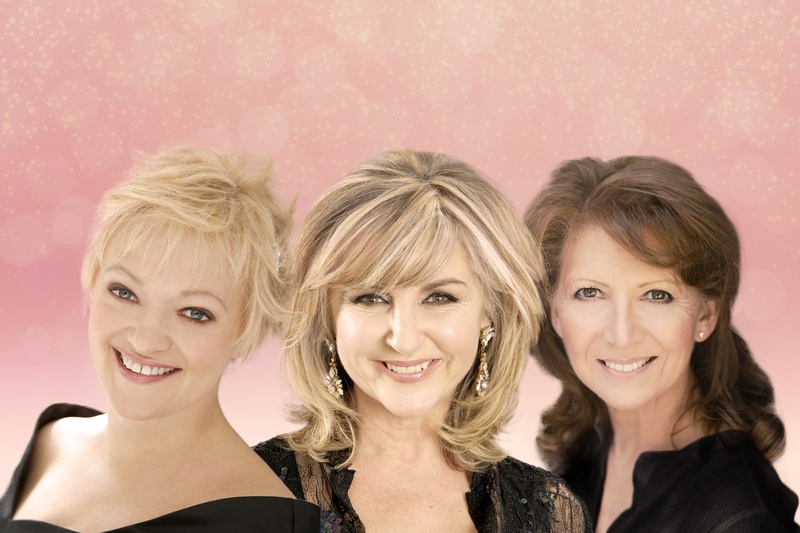 Three of the UK’s national treasures – musical theatre star Maria Friedman, soprano Lesley Garrett CBE and actor Bonnie Langford – have joined forces for the very first time to record a brand new album and hit the road for a UK Headline Tour entitled ‘Golden Girls’. ‘Golden Girls’ will be released on Decca Records on November 30th and will feature repertoire hand-picked by the three women, capturing their timeless vocals and infectious personalities. A complete soundtrack to their lives, each track is a celebration of their journey as women – the nostalgia, the joy, the highs, the lows, and the excitement for what is still to come. With over 130 years of collective experience, over 50 stage shows between them and more than 32 albums, these ladies are legends of the stage and screen. Featuring favourites such as Nina Simone’s ‘Feeling Good’, Judy Garland’s ‘Get Happy’ and ABBA’s ‘Slipping Through My Fingers’, each song on the album has been reimagined by the three women and captures the camaraderie, trust and friendship between them. Maria Friedman is best known for her work in musical theatre, having won 4 Olivier Awards (and been nominated for 9 – more than any other artist). She was a chosen singer of Michel Legrand and Marvin Hamlisch and originated roles for Stephen Sondheim. She has starred in over 16 West End shows including her award-winning one-woman cabaret, Maria Friedman By Special Arrangement and Stephen Sondheim’s Passion in 1996. Maria has also starred in Chicago and Ragtime, both on the West End. She has appeared with Barbra Streisand and Aretha Franklin and has performed in concert halls all over the world. In 2012, Maria directed a revival of Sondheim’s Merrily We Roll Along and in 2015 she directed a revival of High Society at The Old Vic Theatre. She is directing the debut of stage show Dusty, a musical about Dusty Springfield. Maria is also known for her role as Elaine Peacock in EastEnders. Yorkshire-born Lesley Garrett CBE FRAM is famed as the nation’s most loved soprano. A Fellow of the Royal Academy of Music, Lesley made her professional debut in 1980 and from 1984 was Principal Soprano with the English National Opera. As well as an extensive operatic career, Lesley Garrett has released 14 solo studio albums and was awarded a CBE in 2002 for Services to Music. She has performed in major concert halls and opera houses worldwide and has starred in musicals ranging from My Fair Lady in the Hollywood Bowl to The Sound of Music at the London Palladium. A popular broadcaster and media personality, Lesley has had her own BBC TV series Lesley Garrett Tonight and came third in the first series of Strictly Come Dancing. She has also appeared regularly on ITV’s Loose Women and had her own show on Classic FM. She will shortly be performing across the UK with Patrick Barlow’s play The Messiah. Bonnie Langford first appeared on our television screens at the age of six (Opportunity Knocks), on London’s West End stage at the age of seven (Gone With the Wind) and on Broadway at the age of nine opposite Angela Lansbury in Gypsy. Her many-faceted career has included Lena in the movie Bugsy Malone, original London cast of Cats, Dr Who’s assistant for BBC TV, first and final seasons on ITV’s Dancing On Ice and Chicago in London and on Broadway. Most recently, she played Carmel Kazemi in EastEnders for BBC TV and is currently back in the West End playing Dorothy Brock in 42nd Street at the Theatre Royal, Drury Lane. The ‘Golden Girls’ tour will take the three women to music venues around the country – starting on 12th January in Canterbury and concluding at Sheffield’s City Hall on 4th February, including a date at the London Palladium on 2nd February. This exciting new venture will show Friedman, Garrett and Langford in a new light – teaming up for first time in unmissable style. Their new album, ‘Golden Girls’, invites the listener to experience the joys and the sorrows that these women have faced throughout their colossal careers and promises to be a moving journey for all.